Tips For Choosing The Right Vaginal Rejuvenation Surgeon | Wesley Anne Brady, M.D. Resolve exactly what your concerns and goals are. This may seem like a no-brainer, but being able to articulate clearly what you’d like to accomplish is going to be the first step in finding the right surgeon. Make a list of your concerns and goals. Ensure vaginal rejuvenation is a focus of the surgeon’s practice. 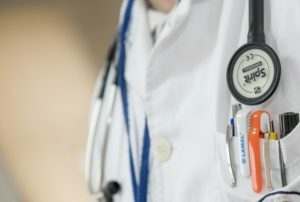 A surgeon who specializes in cosmetic vaginal surgery will have much more expertise and experience than one who only occasionally performs these types of surgeries. Look for a surgeon who is properly certified, credentialed and that operates in an accredited facility. Not only will this help to determine that you’ll have superb results and your needs will be met, these requirements are essential for your safety and well-being. Ask crucial questions at your consultation. This is a great way to conclude that your surgeon is tuned in to your specific needs and what you’d like to accomplish. Ask them how many procedures they have performed and how long they have been in practice. Ask to view their work – most qualified surgeons will proudly show potential patients before and after images of previous patients. Take as much time as you need to make your final decision. It might be necessary to interview several different surgeons to find the right fit for you. Don’t feel pressured to rush the research process. It’s important that you feel completely confident and comfortable in your ultimate decision to select a specific surgeon. If you or a loved one are currently in the process of researching a surgeon for vaginal rejuvenation or labiaplasty, we would be happy to answer any questions to help guide your process. Please contact our office to set up a complimentary consultation with Dr. Brady at your earliest convenience!